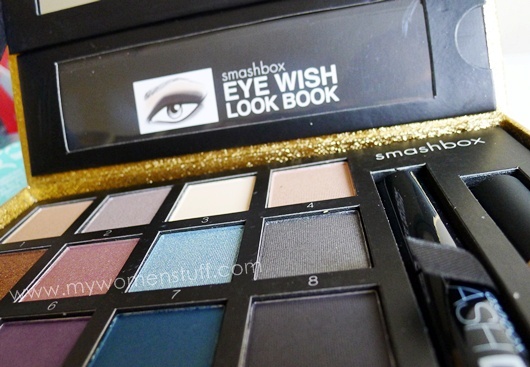 The Smashbox Eye Wish eye palette is a limited edition offering for Christmas 2010. A gold box that holds 12 eyeshadows, 4 cream liners, 1 mascara and 1 mini Photo Finish Lid Primer plus a look book with 10 looks to guide you through the use of the palette. The colours don’t swatch as dark as they look. I like that. Its got a lovely creamy shimmery quality that gives iridescent colour. I’m not too much a fan of deep pigmented eyeshadow colours so it might be why I like this one. I found the cream shadows less impressive. That said, I have yet to experiment with any looks with these due to not having much time, so I might change my mind later. AAAAHHHH!!! I WANT THIS I WANT THIS I WANT THIS!!!! But the colors are rather similar, doncha think? Ah…palettes for Christmas. They always seem to be very much of a good deal, so good until I have to self-declare pokai.Just saw Urban Decay’s 15th anniversary eyeliner set, great deal but at usd 92…….. Sigh. WIsh I’m born a millionaire. LOL. Swatch em quickly, I wanna see too! Palettes are the best deals ever! 😀 I saw pics of the UD eyeliner set too. Thank goodness the 24/7 eyeliners smudge like mad on me so am not in the least bit tempted. Still, I wonder how they thought anyone would pay US$92 for that when they have promo sets for Christmas every year anyway featuring a whole set of liners. When you work it out that way, ya, it is cheap! But to pop out $92..not cheap then coz we’d have to factor in shipping and such. And if it makes its way to M’sia via Sephora, I’d bet it’d be more than $92. I love UD eyeliners but guess I’d buy em during their FnF sales then. I don’t need all the colours..I suppose. Can’t wait for swatches .. whee! These don’t have glitter/sparkles in them do they? The price makes it a real good buy, so many choices this xmas. 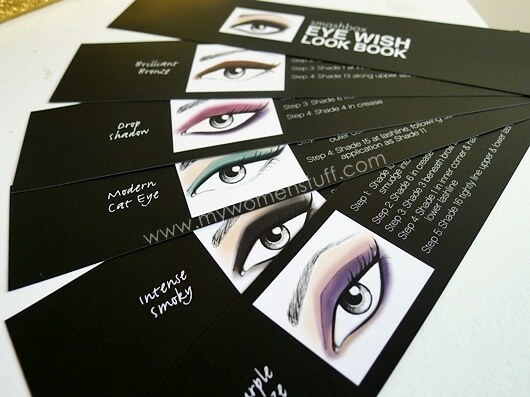 The Palette looks very very pretty and I love the cards with eye makeup drawing! Just sooo soo pretty! Can’t wait for the swatches. Finally found someone who’s agreeable with me on this considering all the hype I read about this pallete. I was at Sephora SG last weekend and tempted to get the BOS since the SA was saying it was the must have pallete (but I have to disagree, as for me it’s the Naked pallete – which was sadly out of stock!) but after deep thinking, it was definitely too bulky and I was sure I would not use them everyday. But, I’m thinking of getting the Smashbox as all the colours are my fav!! Can’t wait for the swatches!! If you don’t like glitter re-think getting BOS3, about half the e/s have glitter – with massive fallout. 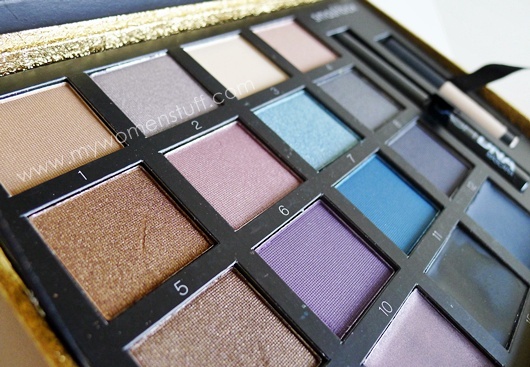 The colors in this palette look pretty similar to BOS3 except they’re not as shimmery. It looks interesting =) can’t wait for your review! That’s gorgeous! I can’t wait for the swatches. Oh the infamous 88 colour palette! 🙂 Guess you’d find similar colours in there then. I think this year’s palette colors are slightly more muted than last year’s. But well, I guess this would be more wearable. I just got my hands on this so I’m excited to use it! it’s so pretty! where to find this eyeshadow in malaysia?? The counter locations are at the bottom of the post. This palette was limited edition for Christmas 2010 and may no longer be available.